We need to integrate a dropdown with autocomplete and typeahead options for our project. 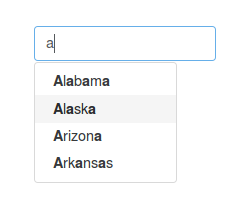 Is there a way to enable typeahead in handsontable dropdown? Came across this in GitHub, http://jsfiddle.net/trebuchetty/tLp0dnga/ . Is there any suggested plugins which we can integrate with Handsontable? Thank you Aleksandra, that is exactly what we were looking for.